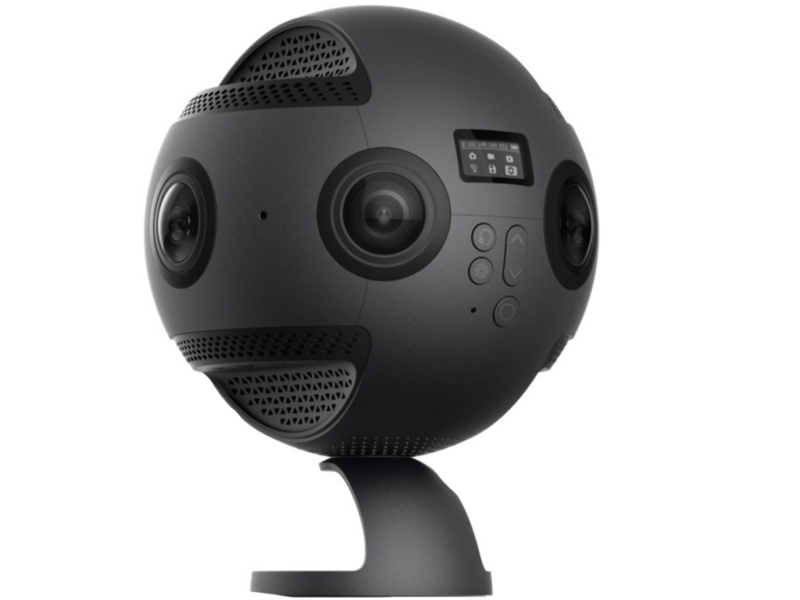 Whoa... given that I had absolutely no experience with 360 cameras, this was a bit of a shock. I'd just paid $3,500 for a camera with no documentation! 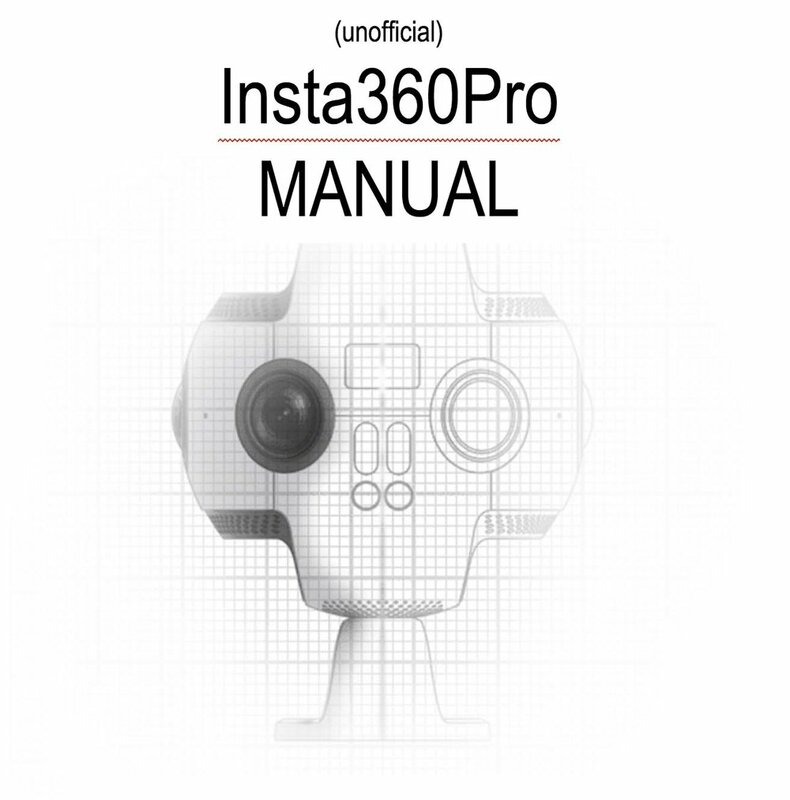 Luckily there's a great Facebook forum for Insta360Pro users, with a very helpful moderator from Insta360... Kevin Tse. 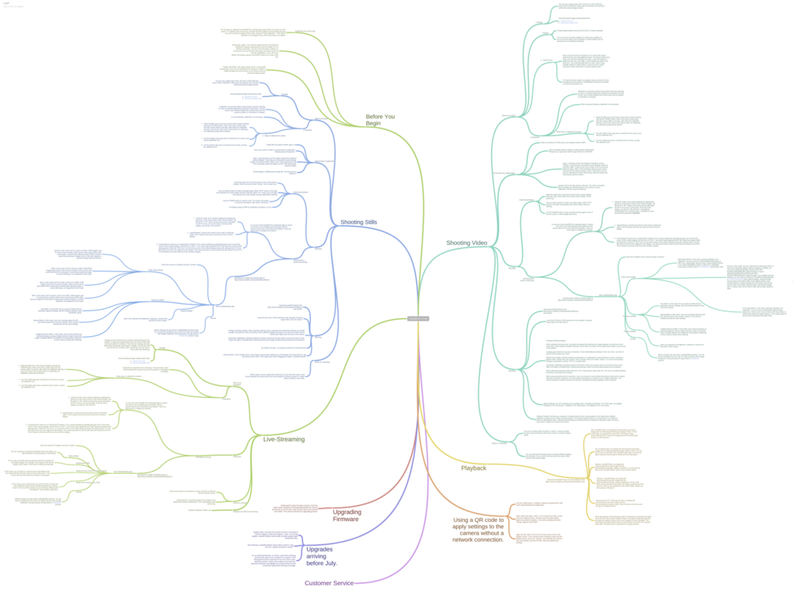 When I asked if there was anything else available, Kevin sent me a .pdf converted from the mind map by user Rey Nicolas. I converted that pdf to a Google Doc and spent a week gleaning through all of the Facebook forum posts to add the combined shared information from everyone on the forum to the (unofficial) manual. This helped me wrap my head around the camera's functionality and at the same time provided a resource for other users who need some help getting up to speed. The doc is in the forum for any of the other users to edit and add to... it's now up to 48 pages. Once you get access to the forum, it's all yours. At this point everyone on the forum is waiting for a firmware update for the 360Pro that fixes a list of bugs that are in version 200 of the firmware. It's a long list, but the development team at Insta360 has promised an update with these fixes by end of January. Fingers crossed! For now, I purchased a GoPro Fusion camera last week and am using that until the 360Pro firmware is pulled together into a production-worthy package. The Fusion is amazing, rock solid and has the most robust stabilization I've ever seen in any kind of video camera. More on that in a future post.